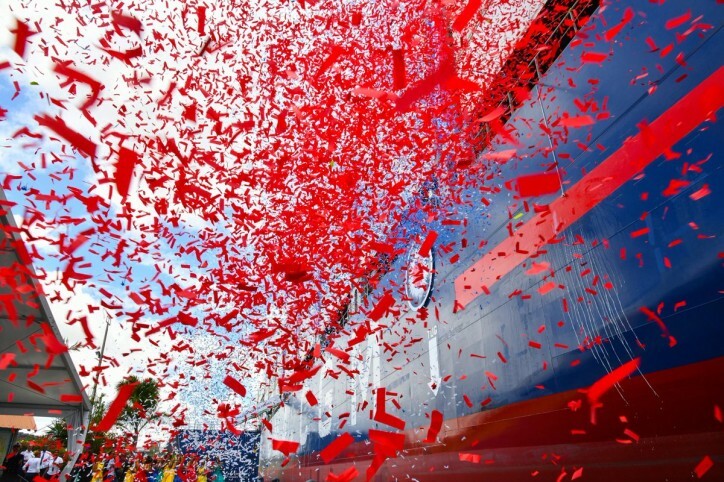 The CMA CGM Group, a world leader in shipping and logistics, announced on Apr04 that the CMA CGM FORT DE FRANCE, the first vessel belonging to its new fleet dedicated to the French West Indies, was christened this Thursday, April 4th in Martinique by Mrs. Annick Girardin, French Minister for Overseas Territories. This inauguration took place in the presence of Rodolphe Saadé, Chairman and Chief Executive Officer of the CMA CGM Group, Tanya Saadé Zeenny, Executive Officer, Alfred Marie-Jeanne, Chairman of the Executive Council of the Martinique Regional Authority, Didier Laguerre, Mayor of Fort-de-France, elected officials as well as company directors and clients of the CMA CGM Group. The CMA CGM FORT DE FRANCE is a 3,504-TEU (Twenty-Foot Equivalent Units) vessel that was delivered on January 10th, 2019. It is 219 meters long and 35.6 meters wide. This is the first of a series of four container ships named after French West Indian forts and flying the French flag. It will be followed in the coming months by the CMA CGM FORT ROYAL, the CMA CGM FORT SAINT CHARLES and the CMA CGM FORT FLEUR D'EPEE. In the French West Indies, the Group operates 7 maritime services connecting these islands to Northern Europe, the Mediterranean, the Caribbean, and Central and South America. In Guadeloupe and Martinique, CMA CGM employs 220 employees and 325 dockworkers. 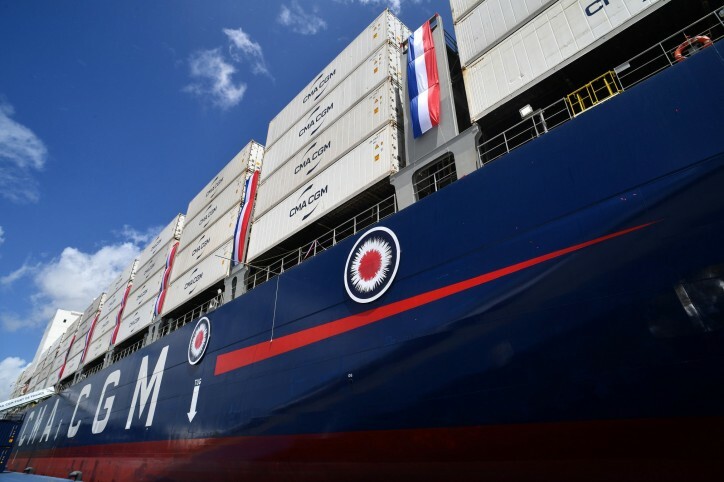 By modernizing its fleet dedicated to the French West Indies, CMA CGM is significantly increasing its service to these territories while maintaining its quality, its reliability and its regularity. makes nearly 240 calls per year, connecting the island to Metropolitan France, the Caribbean and the rest of the world. 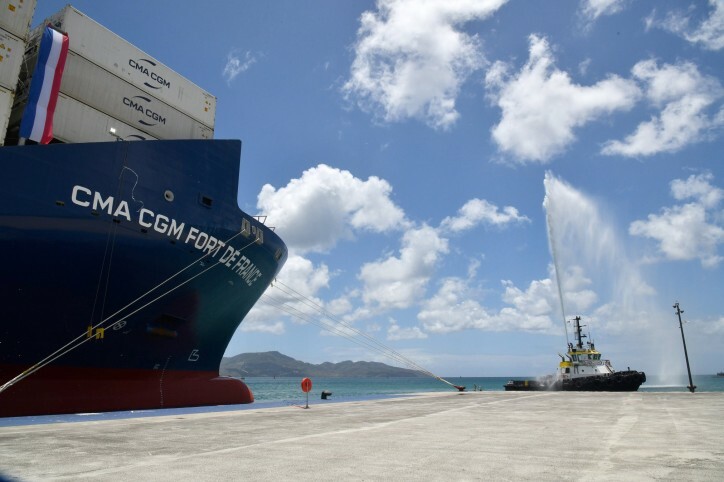 In order to support the acceleration of Martinique’s economic and maritime development, the CMA CGM Group has invested more than 12 million euros there over the past ten years. Over the past several years, the Port of Martinique has been carrying out works aimed at increasing its capacity. Following the delivery in June 2017 of 2.5 hectares of reclaimed land on the Pointe des Grives terminal, additional operations will begin over the first half of 2019 to lengthen the terminal quay and to develop 2.5 further hectares of reclaimed land. The Port has also decided to order a fourth gantry crane. These works will ultimately allow the Port to accommodate larger vessels and to handle more container ships simultaneously, thereby reducing turnaround times and improving rotations. The CMA CGM Group will thus offer new services to the Mediterranean, South America and the Gulf of Mexico, with vessels of up to 6,900 TEUs. CMA CGM wants to build on the strengths of Guadeloupe and Martinique to create a real hub in the Lesser Antilles. 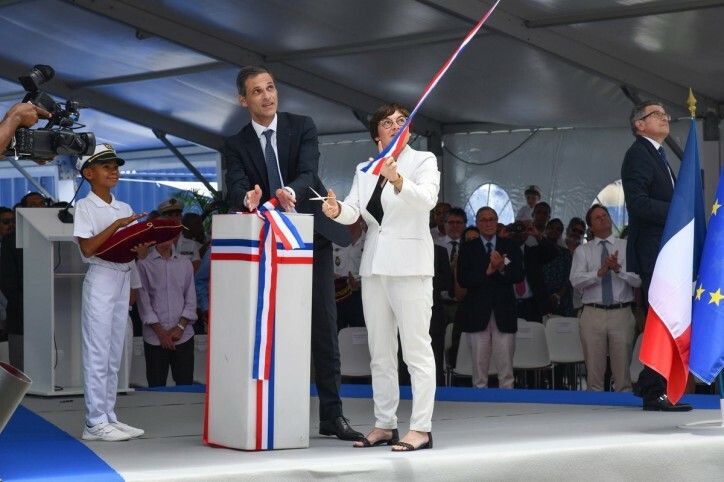 Proof of its commitment, the Group has recently concluded with the Port of Guadeloupe and Martinique new temporary occupation licenses for a period of 15 years. By reinforcing the complementarity between the two islands, CMA CGM plans to develop transshipment traffic, in order to better integrate these territories into their regional environment. It will thereby provide local businesses with new opportunities and new supply sources.